Dartmouth offered acceptance to 7.9 percent of applicants in the Class of 2023 — a historic low and 0.8 percent decrease from last year — marking the third consecutive year that the College’s acceptance rate has decreased. 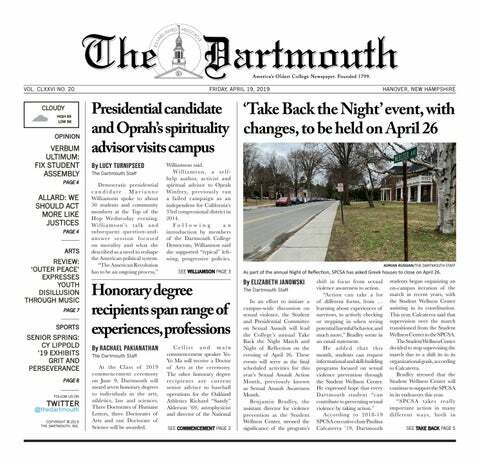 Founded in 1799, The Dartmouth is America’s oldest college newspaper. Since its beginnings in the 18th century, the newspaper has undergone numerous changes. Government professor Mia Costa, one of the College’s new faculty hires, joined Dartmouth in July 2018.